This page contains a number of frequently asked questions on how to use TIS-Web®. Please click on a question and you will be taken to the answer. When I try to login I get the following message: "Invalid Account Name, User name or Password". I have entered the correct login details but I get the following message: "Registered User - Already Signed On". A Forced Sign On check box is also displayed in the login page. How do I add or delete new users to my account? Can more than one person at a time use TIS‑Web®? Does reading a driver card delete the data from it? The Client Software Installer reports a problem when I try to access the TIS‑Web® service after having logged in to the TIS‑Web® application. Where can I buy more storage capacity (Volume Blocks)? What settings must I allow in my Browser? What is the difference between Evaluation and Archiving? How many drivers and vehicles can I use with this service? How do I get upgrades to TIS‑Web®? If I don't have a VDO tachograph fitted, can I still use TIS‑Web®? Can I store data from analogue and digital tachographs? Can I analyse data from the vehicle unit? Does transferring data from the vehicle unit delete the data from it? You may have entered your login details incorrectly. Please enter your login credentials correctly and try again. Also, note that if the login details are entered incorrectly 3 times, the user will be "locked out" for a further 20 minutes. Your user details are shared and someone else is currently signed on using those details. Select the OK button to the "This user has already a valid session. Do you want to take over this session?" message box and you will be successfully logged in to the TIS‑Web® application. If using shared login details this will sign the other user off. We strongly recommend that each user has a unique set of user names and passwords. You may change your password at any time within the TIS‑Web® application. Before selecting a TIS‑Web® Service on the Switchboard page, click on the [Change Password] section in the User Setting tab. A form will appear with your account and user information. Current Password: - Enter your current password. New Password: - Enter the new password. Confirm New Password: - Enter the new password to confirm. Confirm the new password with [OK]. From now on, you can only use the new password to log on to TIS‑Web®. The new password applies to any logon to TIS‑Web® regardless of the service you wish to log on to. If you require new users to be added on your account or an old user to be removed, please contact the TIS support team at tis‑support@continental‑corporation.com. You can change the passwords for existing users within the TIS‑Web® service but to protect your security, new users can only be added by Continental. You can have as many simultaneous users logged on as there are registered user names on your account. These can be located anywhere where an Internet connection is available. We strongly recommend that all users of TIS‑Web® have unique user names and passwords assigned. If user names and passwords are shared then it may prove difficult to identify who entered and changed data in the event of a query. Please check your connections first. 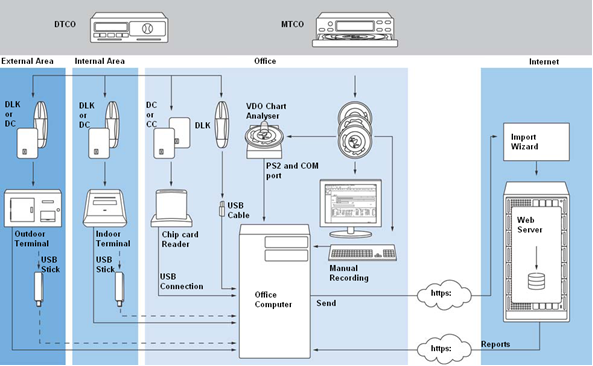 To operate correctly both serial cables must be connected to allow data transmission even if using a USB - Serial converter and the short PS2 cable must also be connected to the PC to provide power. Where no PS2 or serial connections are available Continental Automotive Trading UK Ltd. can supply a suitable USB converter. 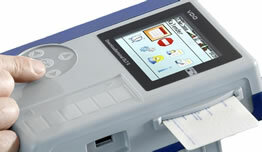 The VDO Compact Chart Reader is automatically detected and configured by the TIS‑Web® software. However this detection can only happen if the reader is connected to a serial port configured as either COM1 or COM2. If connected to a serial port configured as COM3 or higher the reader will not be recognised. If you need to reconfigure your COM ports to be recognised as COM1 or COM2 please contact your IT department. TIS‑Web® only reads the data from the driver card and makes an exact copy of that data for archiving purposes. The activities stored on the driver card and vehicle unit are never deleted or altered by TIS‑Web®. For users of Microsoft® Internet Explorer® the Client Software Installer downloads some files(ActiveX® controls and DLL's) from the TIS‑Web® web site onto the clients PC into a folder called VKISCLNT\Software on the C: Drive. These files are then registered on the client PC. To allow this you will need sufficient security rights to download the files from the TIS‑Web® web site and subsequently register these files on the PC. Please contact your IT Department and obtain sufficient PC administration rights and try again. Also make sure that ActiveX® content is enabled and any pop up blockers are disabled in your Microsoft® Internet Explorer® browser. If this fails to resolve the problem please contact VDO and ask for the Client Software Offline Installer CD which you can use to install any files required by the service. Many installation problems related to the initial downloading of files from TIS‑Web® can be overcome by setting the TIS‑Web® site as a "Trusted Site" in your Internet browser. Please note that you may need the permission and help of your IT department to allow this. When the storage you purchased is about to be used up an e-mail will be sent to your last registered address detailing how much storage has been used and inviting you to buy extra Volume Blocks. The e-mail will explain how to purchase more Volume Blocks and the prices available. Should you wish to buy more Volume Blocks without waiting for a reminder these can be bought via the web shop at www.vdoshop.co.uk or you may contact the TIS‑Web® support team at tis‑support@continental‑corporation.com who will be able to help further. To help this service operate as smoothly as possible it is important that we have correct e-mail details at all times. Should your contact details change please notify the TIS‑Web® support team as soon as possible. If you are using Microsoft® Internet Explorer® you must have administrator rights or be entitled to install programs so that TIS‑Web® can create the "VKISCInt" folder on your computer. You can then limit the rights and permissions for this folder by assigning Full control to the System user and to the relevant TIS‑Web® Evaluation user only. To do this, right-click on the folder to open the folder's shortcut menu, click on Properties and then click on the Security tab. The computer will then be protected again against unauthorised access when being restarted or when another user logs on. The "VKISClnt" folder can be accessed without limitations, e.g. to update existing program entries. It is not necessary to share the folder. To use TIS‑Web® with Microsoft® Internet Explorer® ActiveX® controls and plug-ins must be enabled for executing and installing on secure web sites. To do this, start Microsoft® Internet Explorer®. On the Tools menu, click on Internet Options. On the Security tab, Internet is selected by default. Click on Custom Level and enable the relevant entries for ActiveX® controls and plug-ins. If you are using Mozilla® Firefox® or Google Chrome™ you will need to install a separate software package to be able to read driver cards and download keys. This software package is the TIS Client Communication Service. This package can be downloaded by selecting Help followed by Download and then TIS Client Communication Service. Current EU legislation on analogue tachographs requires operators to analyse a proportion of their charts and bring any faults and infringements to the driver's attention. This ensures that the provisions of both the Tachograph and Drivers Hours Regulations are complied with. The operator is also required to keep the charts for 12 months. With digital tachographs the requirement to analyse remains the same, but in addition the operator is required to download the vehicle unit (at least within every 56 days) and the driver card (at least within every 28 days) in order to ensure that the digital data is stored for 12 months with the digital signatures intact (this is a code within the data that shows it has not been tampered with). This whole process is called Archiving. Archiving your data in TIS‑Web® provides an easy to use and secure means of storing downloaded digital tachograph data. By keeping the archived data separate from the data used for evaluation purposes the integrity of the original data can be assured. Should you need to retrieve your original digital tachograph data the TIS‑Web® archive contains features that allow you to copy the data back to your local PC at any time. Evaluation is the data management part of TIS‑Web® which processes digital data from a driver card and Downloadkey and analogue data from tachograph charts to create a full record of the driver's activities. This data can then be used to obtain driver reports that show driver infringements, Working Time Directive status, other driver activities and also vehicle reports that can be used to manage your fleet effectively. TIS‑Web® is suitable for fleets of all sizes. If working with very large sets of drivers or vehicles you may find it advantageous to have an account per depot or to split a single account into driver and vehicle groups. Many TIS‑Web® accounts include hundreds of vehicles and drivers, but the service is just as suitable for owner drivers and smaller fleets. TIS‑Web® is Internet based and all upgrades are supplied and loaded onto your PC automatically. The cost of TIS‑Web® upgrades is included in your volume unit pricing so there is no further charge. The upgrades are loaded onto the Continental servers and downloaded to your PC the next time you login. Your existing data will be preserved and will still be available in the new version. 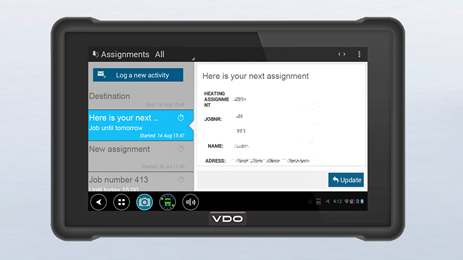 VDO will give advance notice of any upgrades so that you can plan the loading of the new software on your PC with your IT department. 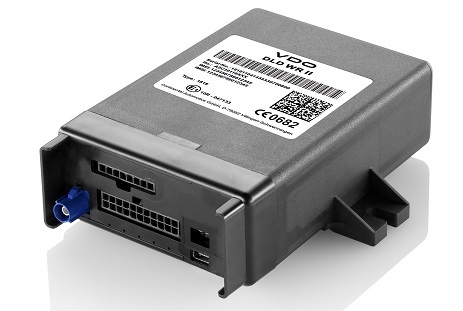 TIS‑Web® allows the storage and analysis of data from both digital and analogue tachographs. Where data of both formats exists for a driver on the same day it is automatically merged to provide an easy to read record of the driver's daily activities. This merged data can be further analysed for drivers hours monitoring, Working Time Directive analysis or fleet management purposes. The merged data can still be identified as belonging to either an analogue or digital source. To read analogue charts into TIS‑Web® you will need an analogue reading device such as the VDO Compact Chart Reader (Part No 60799244). This reader may be bought as part of a package or separately. Please see our on-line store for more details (www.vdoshop.co.uk). You may download data from the vehicle unit into TIS‑Web®. To do this you will need a download device such as the VDO DownloadKey and a company card. The VDO DownloadKey is available from our on-line web shop (www.vdoshop.co.uk). Company cards may be provided by the DVLA on 0870 850 1074. Please note that you must also download your driver cards as well as the vehicle unit. TIS‑Web® only accesses vehicle unit activities via a Downloadkey and has no direct access to the vehicle unit. TIS‑Web® makes an exact copy of that data for evaluation and archiving purposes. The activities stored on the vehicle unit are never deleted or altered by TIS‑Web®.